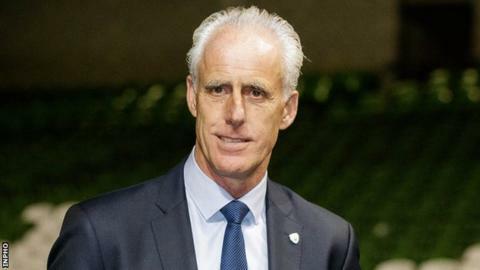 Mick McCarthy has said he always felt West Ham's Declan Rice would opt for England rather than continuing his Republic of Ireland career. Rice pledged his international future to England after taking some time to choose which country to represent. McCarthy had promised to build a team around England-born Rice, who played in three friendlies for the Irish, if he declared for the Republic. "I didn't think for one minute he was going to join us," McCarthy stated. Rice made his decision public two weeks ago but McCarthy told RTE Sport he knew about it several months ago. "I was hopeful. Was I optimistic? No. "If he wanted to stay, all he had to say was 'yes it's no problem'. The longer it went on I was confident in my own head that he wasn't coming. "Now, I don't have to talk about him anymore. Good luck to him, he's got his own career to look after now and I've got mine." Rice is now free for a call-up to England boss Gareth Southgate's squad for the Euro 2020 qualifiers against Czech Republic and Montenegro at the end of March. The Republic open their campaign away to Gibraltar on 23 March.